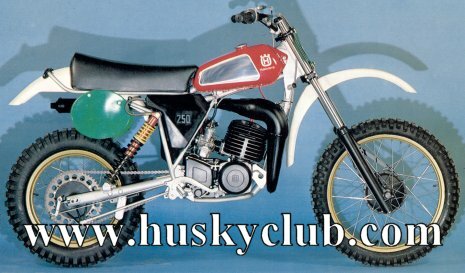 In 1979 Husqvarna introduced a new frame, new forks, new Ohlins, new airbox, new plastic side panels as well as many other changes. The 250 CR (close ratio) motocross machine was a winner right out of the box. You could not get better suspension components and the motor was bullet proof. The added travel at both ends make the bike tall at almost modern (2003) height. A variety of Ohlins springs and valving tuned the Huskys to each riders delight.